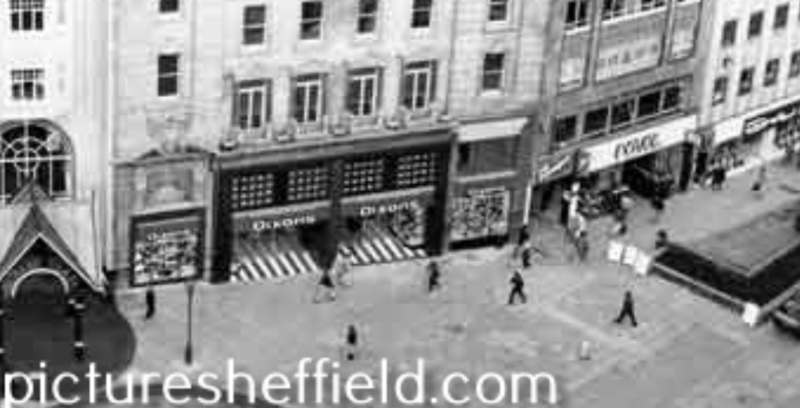 Don't forget "The Raincoat Shop" was on Orchard Lane. The major reason that I remember was that I attended City Grammar School, that was on Leopold Street, and I passed it every day to catch the tram or bus home. I've remembered, Austin Reed was the menswear shop in Barkers Pool. I remember it well. On the top floor was a barber's where my Dad used to take me to have my hair cut when I was quite small- so small that they had to put a board across the chair for me to sit on. I remember how grown-up I felt the first time that they dispensed with the board. Oddly, he never had his hair cut there - he remained faithful to a barber called Henry Wheeler in Woodhouse, near where he taught. Interests:Golf, British golf clubs & courses, Sheffield Wednesday, Music, Literature, TV & film, UK travel, history & geography. It came to me: Lou Burgin's! Anyone remember it? 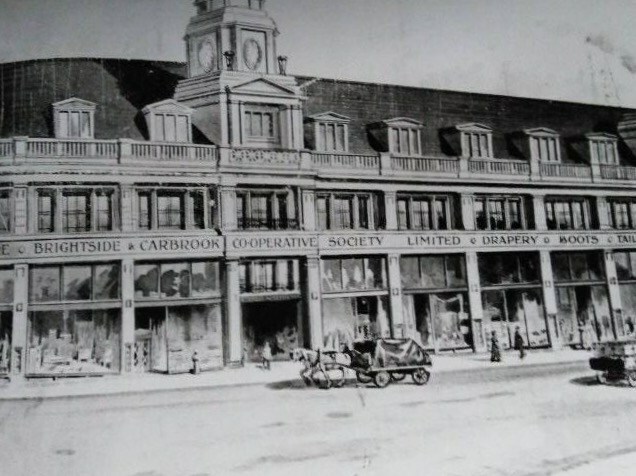 (snip)...Rare and Racey on Division Street - is it still there? Yes, oddly enough, I drove up Division Street and Devonshire Street, for the first time in years last Friday. Rare & Racey is still showing the old signs and shop name, but it was obviously closed down for good. Further to previous posts in this thread, Mr, Kite's is still a wine bar/bistro type place. I only glimpsed it as I went by, but it looked like the name was Green, (taken from Devonshire Green perhaps?). 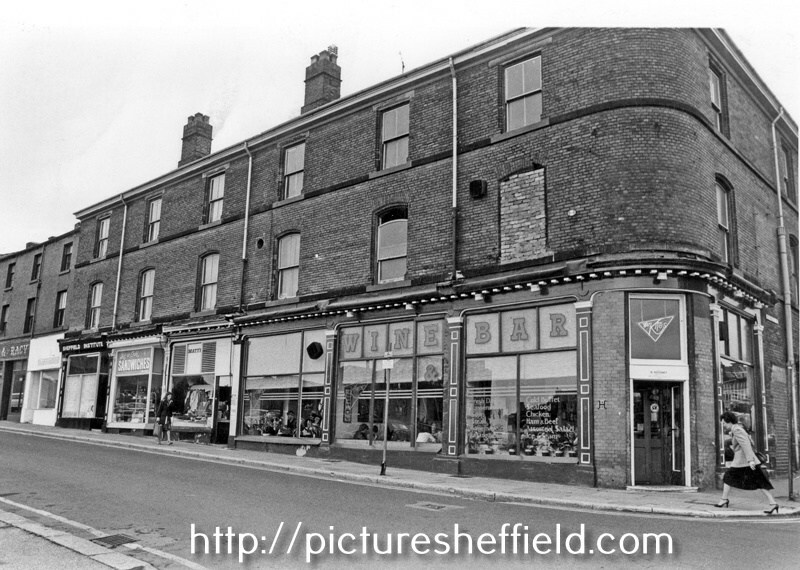 Devonshire Street, 7th July 1981. Rare & Racey is the last shopfront visible on the left. I'm sure I remember the entrance to Mr. Kite's being further to the left, in the middle of the frontage. Here's an enlarged crop taken from the above image.